After I got my Samsung Galaxy S4 back from the menders, again, the screen was fixed but the microphone seems to have been totally jiggered. At least broken enough to not be able to rely on it for phone calls. A little research and the Oneplus One CyanogenMod jumped out of the web page at me. I was thinking Google Nexus 5 but that handset had been around a while and we were waiting for the Nexus 6 to be launched. The Oneplus One CyanogenMod had great reviews, better than the Nexus 5 due to being newer, and I could get a 64GB version for £270! Nobrainer I thought. 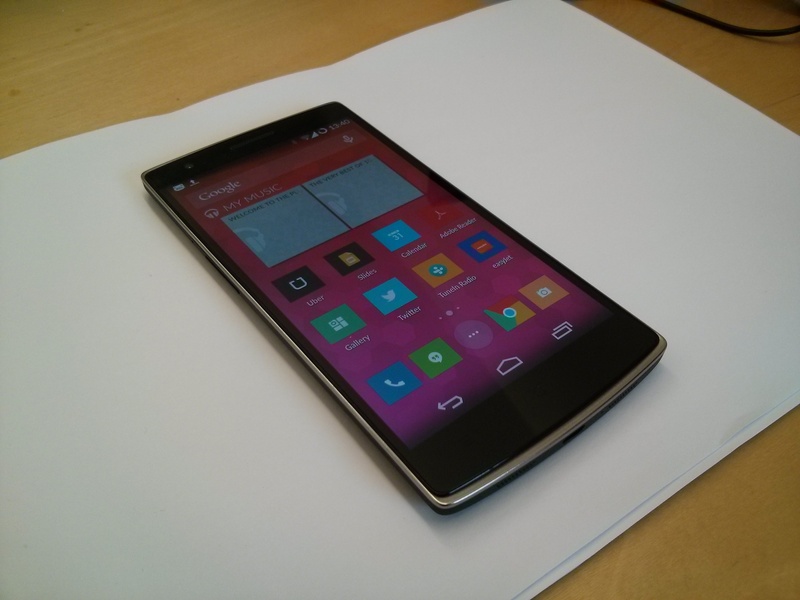 Oneplus One had different ideas. You can’t buy a Oneplus On CyanogenMod UK without being sent an invite by someone who already has one. Doh! I decided not to. What a terrific marketing ploy! A week later and I gave up on my SGS4. I found that I did actually need to talk to people every now and again. Even if I used VoIP over WiFi I still needed the microphone to work. Twitter found me someone with a Oneplus One invite and I ordered. I paid for express delivery but this still took a few days. It came from the good ole US of A. When it did arrive the packaging was great – fair play. Setup time was short though I did find that not all the apps I had previously installed on my Galaxy S4 automatically ported to the Oneplus One. With hindsight this was a good thing as I probably had too many apps I didn’t use on the old phone. The biggest complaint about the Samsung is the bloatware. You don’t get this with the Oneplus One CyanogenMod. Whizzing through the gallery is v quick. There are a few things I think are greats and others not so. Great is the fact that I can turn on the camera from the lock screen by just swiping the icon. You can also do this from standby mode by drawing a circle on the screen. The camera comes on. Yay. V handy for taking snaps of something you need to be able to respond quickly to and far better than having to enter a pin number. You can also turn the torch on and off by drawing a V on the phone in standby mode. A sideways V or arrow switches on the music player. This can be a bad thing as I have occasionally found the torch on in my pocket and likewise the music. The fact that the lock screen has options also sometimes makes it difficulet to enter a pin number – you only have to catch the edge of the screen with your palm and it thinks you are after the camera instead. Another negative is that fact that the Oneplus One doesn’t support O2 4G bands in the UK. Seeing as I can’t get 4G in my home town Lincoln this seems to be a relatively small price to pay. It would work if I was on EE. Doesn’t really matter though. This phone cost £270, it has the spec of a high end job and feels great in the hand. I do sometimes find I have it the wrong way round but hey. It doesn’t matter. Power consumption seems good – not a particularly scientific test but at least a whole day in my experience so far. The Nexus 6 has now been announced. I may also buy one of those and use the Oneplus One as a backup. Having had to be without a handset (I don’t call the Samsung Galaxy Mini a handset!) for periods of up to ten days whilst getting my own fixed it is clear that I can’t function without one. This isn’t an admission of weakness. It’s life Jim.